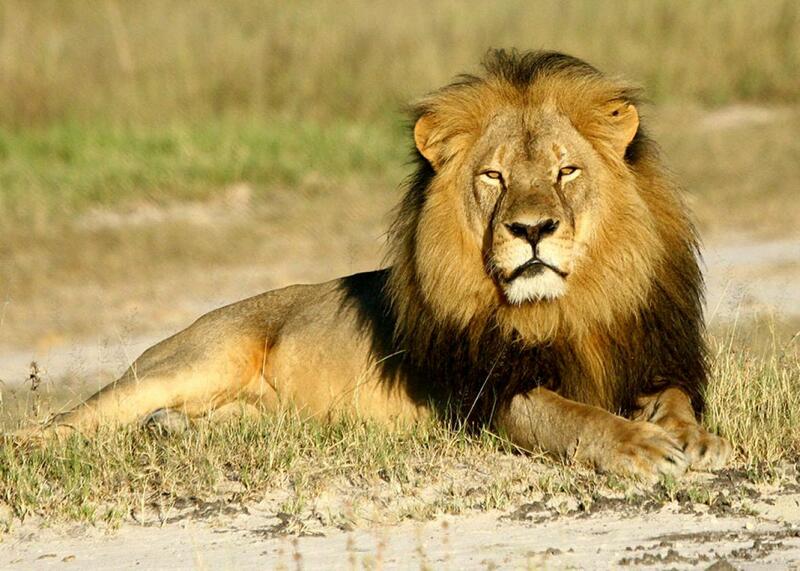 Cecil the lion research: Scientists studied the lion for years (VIDEO). In videos, photos, and scientific research papers, he was a star. Unlike the hundreds of anonymous African lions killed every year by trophy hunters, Cecil the lion has a name, a public face, and a scientific legacy. Since his gruesome killing, apparently at the hands of an American dentist after he was lured off his home in Hwange National Park, Zimbabwe, people have been mourning and angrily debating the circumstances of his death. Without taking away from this sadness, I hope to take a moment to celebrate Cecil’s life—indeed, all the lives of the 32,000 African lions remaining. Cecil was born in 2002. Like all cubs, he would have spent his first two months hidden away by his mother from predators and other lions. But when his brown spots and gray coat would just have started turning gold, his mother would have introduced him to the pride. Most lion family groups consist of five related lionesses, several young cubs, and the dominant males. Cecil probably ate a lot of buffalo with his family in Hwange, as well as wildebeest, zebra, and even young elephants. By lion standards, Cecil was terribly lucky: At least 67 percent of lion cubs don’t make it to adulthood. They die by starvation, disease, and infanticide perpetrated when new male lions take over a pride. As one of the lucky cubs, Cecil would have started to roar by his first birthday. By the time he was 3 years old and growing out his mane, the dominant males would have kicked him out of the pride. For the next couple of years, Cecil likely roamed with his brothers and other young males until, banding together, they took over their own pride. Not that Cecil’s life was dull after winning a pride. He would have had to regularly mark his territory by spraying urine, scuff-marking, and roaring loudly. He always had to be ready to fight with rival males. And his marital duties would have been terribly time-consuming: For every cub that survives to one year, its parents have to copulate approximately 3,000 times. 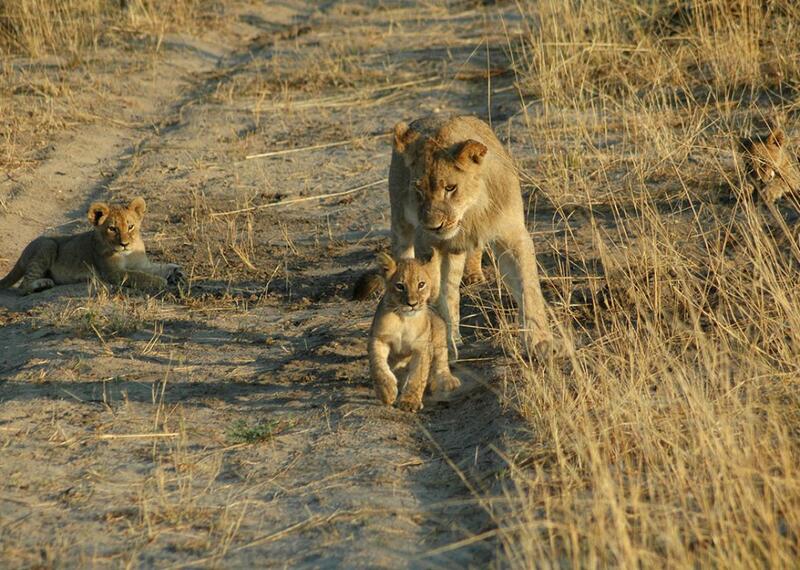 Cecil the lion’s cubs, Dec. 18, 2012. When he was 6 years old, Cecil was caught and fitted with a tracking collar. He had just been enrolled in a major lion study conducted by biologists Andrew Loveridge and David Macdonald of Oxford University. Over the next seven years, Cecil’s movements were tracked by satellite. By knowing where Cecil and other lions went, the scientists learned that lions mostly ate buffalo, which they caught close to watering holes. They found that zebras ate lower-quality diets when they lived near lions. The scientists learned more about human-lion conflict and, hopefully, how to avoid it. And they figured out how lions moved between Hwange and other parks, along with how these lion corridors might intersect with expanding human populations. While Cecil has died, these scientists’ efforts continue, buoyed by the hope that they can protect Cecil’s disappearing species. The university and conservation groups that fund Loveridge and Macdonald’s ongoing study are asking for donations to help learn more about lions. I can only hope that, by understanding Cecil’s life and grieving his death, we can better protect these magnificent cats.